Brushed Aluminum Composite Panel consists of two sheets of corrosion resistant aluminum permanently bonded to polyethylene core material. Standard size: 1220mm(Width) ×2440mm(Length) The surface of the front aluminum is brushed finish. 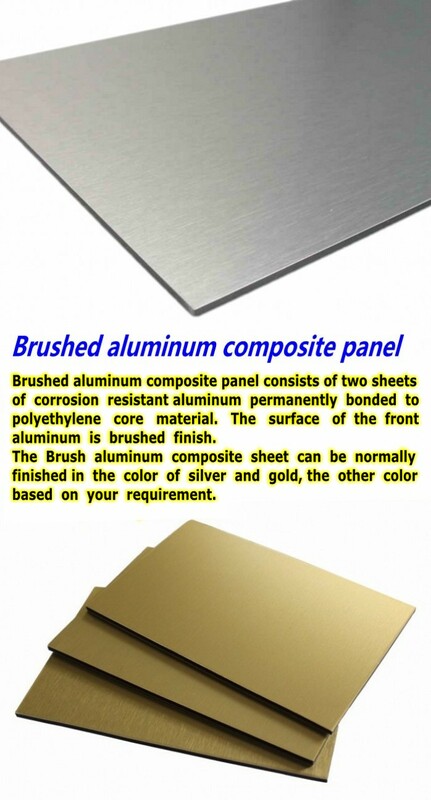 The Brush Aluminum Composite Sheet can be normally finished in the color of silver and gold,the other color based on your requirement. Looking for ideal Composite Brush Panel Manufacturer & supplier ? We have a wide selection at great prices to help you get creative. 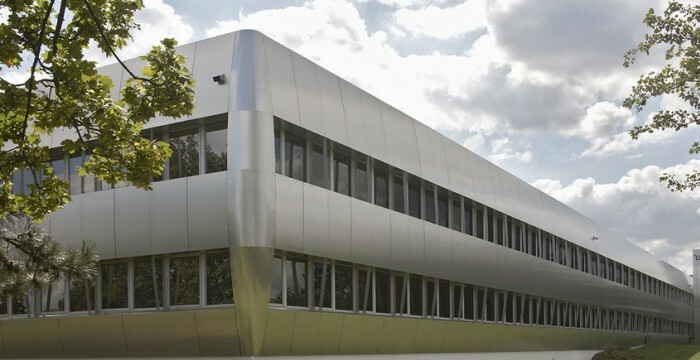 All the Aluminum Composite Panel ACP are quality guaranteed. We are China Origin Factory of Brush Finished Alucobond. If you have any question, please feel free to contact us.